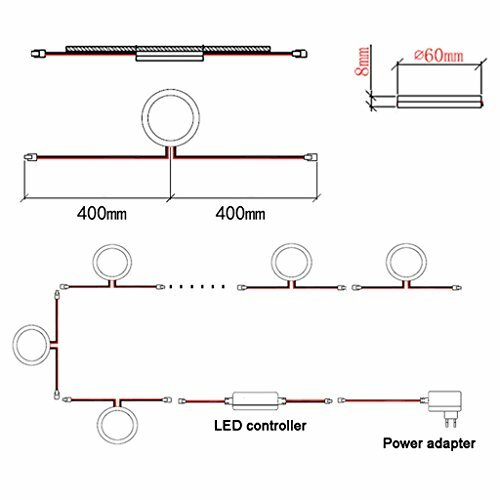 This creative design of LED under cabinet lighting kit is different from most under cabinet lights kit which normally use a distributor to achieve parallel connections. 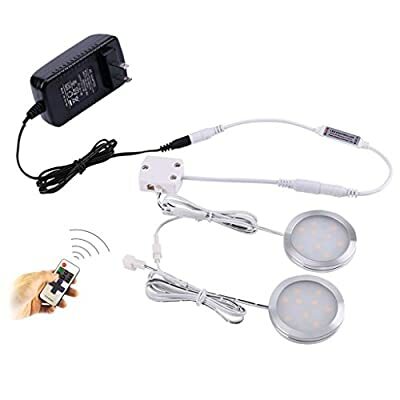 This set of lights can be self linking, can be connected in both ways: series connection and parallel connections. 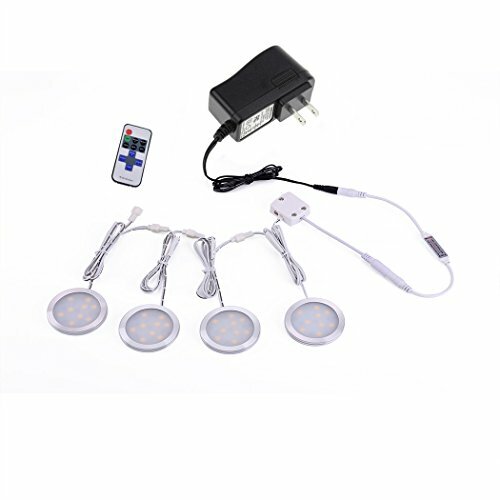 # LINKABLE CONNECTION LED PUCK LIGHTS: linkable connection design makes the puck lights can be connected one by one, providing an extreme simple wiring management. # WIRELESS DIMMABLE: RF remote control making the dimming function from 0% to 100% hands-free. It can also have blinking mode for holiday or party celebration. # INVISIBLE LOW PROFILE DESIGN: 2.3 * 0.3 inch thin & flat puck light, almost invisible under the cabinets until turned on. # EXTENDABLE USAGE: The number of puck lights can be added according to the needs. 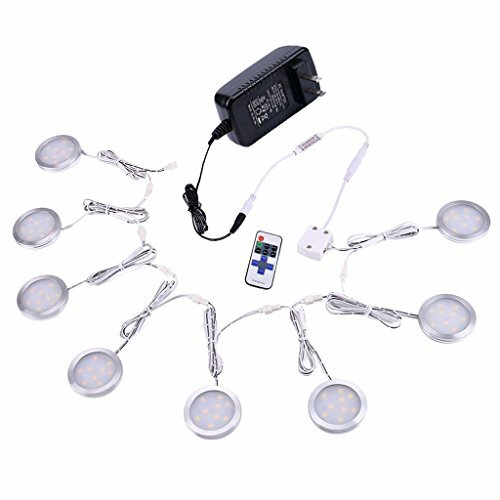 Also the RF remote control can control different sets of lights synchronously. # EASY TO INSTALL: ALL accesories provided, totally plug and ply, NO ELECTRICIAN NEEDED.